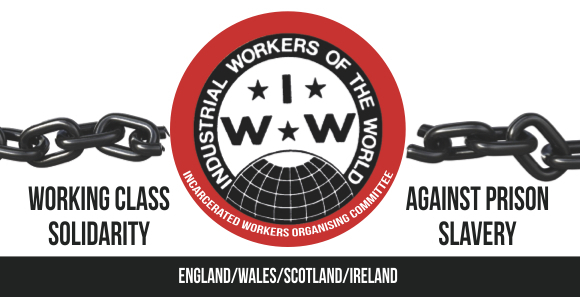 Important article highlighting current conditions in the British Prison System. 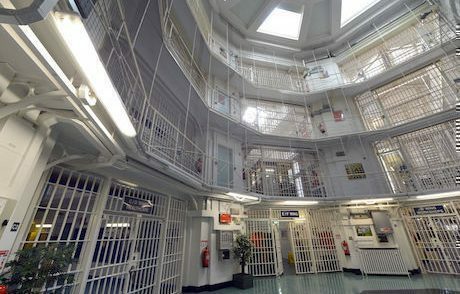 Pentonville Prison. Press Association/Anthony Devlin. All rights reserved. On 4 October 2016, UK Justice Secretary, Liz Truss, delivered her ‘Prisons: places of safety and reform‘ speech to the 2016 Conservative Party Conference. For Truss the UK justice system is “incorruptible” and “the best in the world”. If we follow the principles of meritocracy, it will become a “justice system of all talents” that “works for everyone” providing “justice for all”. Although Truss digresses away from prisons (to talk about the courts and a new Bill of British Rights) her central arguments focus on how the Conservative government is “going to make prisons work”. Sadly her speech is nothing but the same old story, harking back to the “making prisons work” rhetoric employed by Labour Home Secretary Jack Straw in 1997, as well as regurgitating an idea with a 200 year record of abject failure. Truss starts her speech by talking about a prison governor who was assaulted by a prisoner but still came into work the following day. She later highlights the “abuse, intimidation and violence” experienced by prison officers, citing data claiming to show that last year prison officers were attacked on average 15 times a day (5,423 recorded attacks in 2015). In a key message directed at our “brave” and “dedicated” prison officers she states: “I promise you this – I will do everything in my power to protect you”. Prisoner assaults are now to be treated as “serious crimes”. Further protection will come via more intensive drug testing and greater prison officer numbers and authority. Before we go any further let us consider some of these points in more detail. First the official data. Over the last few years the Prison Officers Association [POA] has called for a “zero tolerance” approach to prisoner violence and has encouraged members to report every single incident that could be considered an assault. As a result, the recorded number of “attacks” on prison officers has dramatically increased. Prison officers have also allegedly been encouraged by the POA to seek medical assistance irrespective of obvious injury, the end result being that such incidents appear in recorded medical data sets. What we do not know – what is not actually indicated in such data – is the seriousness and harm of the recorded incidents. The apparent deliberate manipulation of data therefore means we should treat such claims of evidence with considerable caution – as indeed should the UK Justice Secretary. Further, drug testing has proved to be a tried-and-tested failure in terms of measuring or deterring substance usage in prisons for more than 20 years. More rigorous testing will not solve the problem of Spice or any other ‘drug’ in prison: substance usage is systematically generated by the pain, isolation and difficulties in building and sustaining relationships in prisons. Drug testing does not change this. Nor does it alter the wasting of life, boredom and loneliness of prison. More prison staff will not address the daily inhumanities, harms and degradations characterising prison life. But what about the increases in prison officer numbers? In her speech, Truss makes a commitment to employ 400 new prison officers. Yet what this fails to take into account is the recent decline in prison officer numbers in the Prison Service of England and Wales and the deep underlying structural problems confronting prisons. More prison staff will not address the daily inhumanities, harms and degradations characterising prison life. Further, the introduction of the 400 new staff is only a remedial measure to address the most obvious problems associated with the recent staff cuts, for new prison officers will only be employed in “prisons that have seen sharp rises in violence in recent years”. For Truss, the priorities of reform are identifying prison officers as victims of prisoner violence and protecting prison officer safety. There is no mention in her speech of prison officer violence. Or prisoner safety – particularly salient following the recent killings in Pentonville Prison (which took place a few weeks after her speech). Nor is there mention of the truly terrible reality that in the last year we have seen the highest rate of self-inflicted deaths in prison ever recorded in England and Wales. At best, the account of violence by Truss is partial. At worst, it gives a distorted picture mystifying the true reality of violence in prison. We know that the data of violence against prisoners by prison officers is much more difficult to record than violence perpetrated by prisoners. This is because of the nature of officer violence (it could involve violence during restraint procedures) and that prisoners may fear repercussions if they report violence by officers. There are also problems regarding whether a prisoner’s account will be believed by other prison staff charged to investigate such incidents. That violence against prisoners by prison staff occurs, however, is evidenced in prisoner and prison officer autobiographies as well as other official accounts, both historical and contemporary. Further, the hidden ‘institutionally-structured violence’ and the harmful outcomes generated by the prison place are also neglected in the speech by Truss. As of 29 September 2016 there were 84 Self-Inflicted Deaths [SIDS] in prisons (and 43 awaiting classification). Sadly this number is only going to rise in the final three months of this year. A prisoner is recorded as attempting to take their own life every five hours and a prisoner is recorded as self-harming once every 20 minutes. The seriousness of such events cannot be questioned. This policy commitment is revealing for a number of obvious reasons. When the ‘reformed prisons’ of England and Wales were being introduced in the late eighteenth and early nineteenth century, prison reformers felt that ex-servicemen would be ideal to run prisons, both as governors and prison officers. The prison reformers wanted obedient, disciplined and reliable staff to replace the old ‘turnkeys’ and prisoners who had run the prisons and jails in the UK before that time. The emphasis of ex-service men (and women) as prison officers reflects a particular penal ideology – one not just of reform but also of authoritarianism. The infamous ideas of ‘hard fare, hard bed and hard labour’ that underscored the Victorian prison regimes overseen by Sir Edmund Du Cane were built on such punitive assumptions. Questioned in terms of efficacy and morality, the implementation of Du Cane’s harsh regimes were often associated with ex-servicemen prison officers. Whilst this proved largely mythical – prison officers have never been exclusively from the army, air-force or navy and so on – it led the Gladstone Report of 1895, which itself arose due to public outrage against the Du Cane regime, to undertake a detailed survey of the number of ex-service men working in the prison system in the 1890s. The call by Truss for greater discipline clearly indicates a vision of more punitive times to come. Truss also blatantly disregards the fact that currently there are a large number of ex-servicemen prisoners. The disastrous failure of current policies regarding the care and re-entry of ex-service personnel into society will not be addressed by increasing their employment as prison officers. Liz Truss. Press Association. Isabel Infantes. All rights reserved. Truss also leads us to consider the “the human costs of prisons” beyond merely those of prison staff. Contradicting her point on meritocracy, she shows awareness that prisoners are some of the most “damaged” people in society. Truss notes problems around literacy, mental health and sexually-violent victimisation. But her concern is not with prisoners because we as a society fail to meet their needs before, during or after prison. Instead of prisoners squandering their time in prison Truss would rather have them undertaking “purposeful activity” in an endeavour to reduce recidivism rates. However, the key beliefs of her position are crystal clear – prisoners should be made better people in prison in the interests of law-abiding others. Prison reforms are for those on the outside rather than those we house behind the prison walls. Truss talks of her “optimism” and the need to join her as “champions of change”, whilst at the same time recognising that most ex-prisoners re-offend, more than half within one year of release. Her assumption is that prisons are places of potential reform if managed correctly. The grand solution is to give prison governors and prison officers more powers and to spend £1.3 billion to “sweep away our decaying Victorian jails and putting in place new modern prisons”. What is missing though is any reflection on two important factors driving this change. First, a number of the Victorian prisons are built on land which is highly attractive to property investment. Either through pulling down the prisons or transforming the existing buildings into gated communities for exclusive accommodation, the selling of such Victorian prisons could generate sizeable capital. Second the proposed new prisons are to be ‘supersized’. Such large new prisons, housing between 1,000 to 2,000 prisoners, are cheaper to run, are less staff-intensive and could swell the volume of private prisons in the UK. Such reforms are evidence of placing profits over people and looking to solve social problems through penal confinement. What Truss misses is that prisons always have been places of harm and dehabilitation rather than safety and reform. Throughout her talk – which actually offers little new – there is no mention of the vast evidence from the past 200 years that ‘reformed prisons’ have never achieved the goals that she aspires too. The vision presented by Liz Truss is one of discipline and policies which only exacerbate despair. It is one which must be challenged.